Prep with the appropriate Biolage R.A.W. Shampoo and Conditioner. Apply Biolage R.A.W. Bodifying Jelly to damp hair and blow-dry using a round brush. Curl entire head with a medium barrel curling iron. Create a side part. 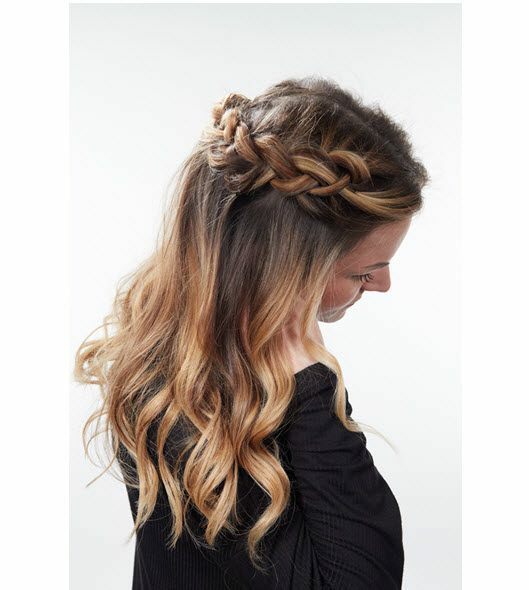 On the “heavier” side create a three strand Dutch braid starting at the front hairline that angles back to the center/back. When reaching the center back, continue the braid half way down the strands. Secure and loosen. Pin braid in place and reinforce curl if necessary. Spray with Biolage R.A.W. Texturizing Styling Spray and scrunch.